Today’s big news in the UK, and probably in other parts of the world too, is that Prince Harry and Meghan Markle have announced their engagement. It’s been rumoured to be coming for a while, so isn’t really a surprise, but it’s still headline worthy on press websites and, no doubt, tomorrow’s newspapers. Personally I think marrying into the Royal Family would be bloody awful; so much attention from the paparazzi and press, lack of anonymity, the need for security guards wherever you go. But you can’t help who you fall in love with, and Meghan obviously thinks Harry is worth it. As an actress she’s already used to attention and she has media dealings in her charity and humanitarian work, so maybe it won’t be as big a step as it would be for a mere mortal! 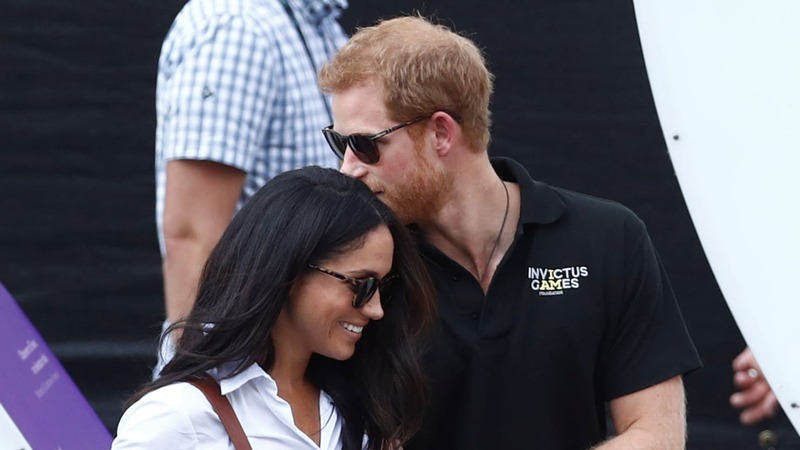 I think it’s great that Harry is marrying his own choice of bride, rather than going down the traditional royal route of regal connections or a title. I’ve said it before and I’ll say it again, the younger Royals are really doing a great job in being real people as well as born into / married into Royalty. It bodes well for the future. What is interesting is that Meghan is a divorcee, having previously been married between 2011 and 2013, and also that she’s mixed race, with her Mother being African American. Again I think this shows progress in the Royal household, a level of acceptance of “someone different” that I can’t imagine happening in previous generations. Whether Lizzy and Phil are truly happy behind closed doors is another matter, but this public engagement and impending wedding is certainly a show of progression. Hopefully, in seeing a different culture and colour represented in our country’s leading family, acceptance can be achieved in other areas of British life. Prince Harry already damned the racist undertones from the British Press early on in their relationship. Perhaps their union will help in wider society too; in contributing to ceasing white snobbery and breaking down racial barriers. Most exciting though, for many Brits, is the prospect of an additional bank holiday! It was good enough for Wills, and Queenie won’t want to be accused of favouritism between her grandsons. Happy days! 1 Comment on Congratulations Harry and Meghan!